Apple in its newest model of iPhone i.e. 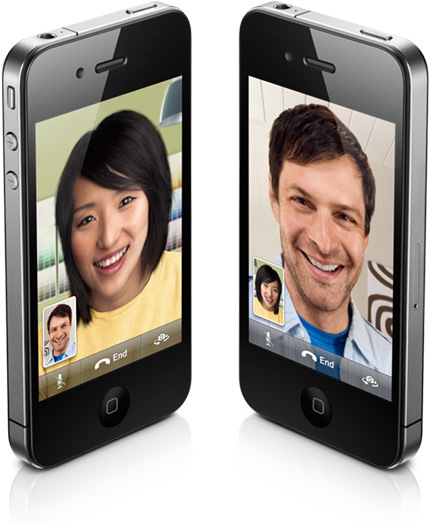 the iPhone 4G has come up with a revolutionary new feature in the form of video conferencing. Along with its many other fascinating features and applications, the iPhone also comes with two cameras, one at the back and an extra one in the front. The camera present at the back of the phone is a 5 mega pixel one, great for taking crystal clear pictures. While the one present in the front is of a VGA quality and is perfect if you have a knack of clicking self portraits. But the added advantage associated with this particular VGA camera is that, it facilitates the video conferencing feature of the new iPhone. Now, you may be wondering what exactly is video conferencing all about and how does the whole procedure work out. Well, video conferencing is an extended calling feature where you actually get to see the person whom you are conversing with. Similarly, if the other person also uses a phone with similar 4Gfeatures, he/she gets to see you too. This application makes use of a wireless network connection to pair up with the other device. This video calling feature has been labelled as ‘Face Time’ by Apple and is available only with the 4G devices. Of late Apple is considering making this feature available also with the 3G devices. Using this feature on the iPhone does not involve any tricky modifications. All you need to do is go to the contact list to select the particular person you want to converse with and tap the Face Time option. This feature is also available when you are already in a conversation and shifting from call mode to video mode requires a similar selection of the Face Time button. In order to initiate a video call, the one you are conversing with also needs to accept your request of switching to the video conference mode and viola, there you have it. There is an added advantage too, if you want to maintain privacy and do not wish to prolong the call on the video mode, you can switch back to regular calling mode with much ease. The posterior 5 mega pixel camera can also be utilized for the purpose of video calling along with the VGA one. While the VGA camera is apt for face to face video conferencing, you can use the back one if you wish to share something like an ongoing wedding or simply a breathtaking scenery with someone. Switching between the two cameras is pretty simple and just requires a gentle tap. Besides fun chats, this feature has other important uses too. Now, making that urgent presentation while you are at a vacation with your family becomes possible, thanks to this revolutionary innovation. All you need is wireless network coverage and there you have it, a complete facility of face to face communication with any and everybody who possess a similar device.